1. Preach a series with less interdependence between messages. Don’t build a series that assumes people have heard last week and the week before. That typically means that an epistle is probably not the way to go, or a tight sequence through a narrative (like Ruth or a section of a Gospel). Instead preach so that even in a series, each message really does stand alone with minimal required awareness of other messages. 2. Preach a series with high encouragement factor. If people are potentially coming in mid-series, or were missing last week and next, take the chance to encourage them. Summer is probably not the season for high level calls to radical commitment or significant life change. September may be a different story, but tap into the summer vibe and you may find that what you do try to achieve connects more effectively than a January Resolutions series in balmy August. 3. Preach a series from a section of the Bible you tend to miss. Some churches tend to spend a lot of time in Gospels, or epistles, or even OT narratives. Why not put in a series from the Psalms, perhaps a few of the Songs of Ascent, or a selection from the 50’s, or wherever. Perhaps consider a series from Proverbs, a topic per week (these are unlikely to require awareness of last week’s message). 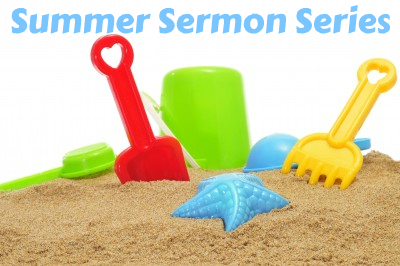 What are you preaching this summer? What have you found to work, or to fail, in previous years? I thought that the “high encouragement factor” was a great piece of advice. Summer can be depressing for pastors and leaders because even the most solid members suddenly seem absent for ball games, vacation, etc. I live and work in an area which has lots of tourists, so we never know who is going to join us for church. For this reason I preach topically and generally gospel themes, so far this year I’ve preached on Forgiveness, Reconciliation; Children of God … it’s quite refreshing to me as preacher and lightens the load a little bit.